We are all conscious of the need to reduce our carbon footprints and here at Elec Cert Ltd we use the latest technologies to offer the best solutions to save both money and energy. Investing in energy efficiency has got easier for companies with the new carbon trust financing packages. Enabling you to finance the replacement of old, inefficient equipment with more energy efficient alternatives and cut your energy bills. As well as the supply and install of energy saving lighting, as part of the project services we can apply for an interest-free loan from the Carbon Trust on behalf of your business. The loan will eliminate the upfront cost barriers for a new energy efficient lighting system. The monthly savings from lower energy consumption can completely cover the loan repayments. The loans are unsecured, have no arrangement fees and are repayable to the Carbon Trust across a 1-4 year period. We can provide you with a free energy survey of your premises, and an estimate of the cost savings you could make by installing efficient light fittings and sensors to control them. The survey provides details of your current power consumption compared to using high frequency light fittings with sensor control. It will also provide an illustration of the total cost outlay and the time taken to pay for this in reduced energy costs. 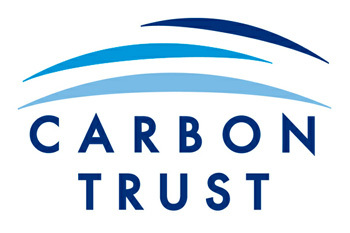 The solutions usually pay for themselves in less than 24 months and you may be eligible for a Carbon Trust Loan to cover the cost. When the loan covers the complete cost of new lighting, the monthly loan repayments should be less than value of the monthly energy savings made.